Yoga therapy is the process of empowering individuals to improve their health and wellbeing through the practice of yoga. Yoga therapy is different from yoga classes where clients are usually not coming to learn yoga, but to get help with or relief from some symptom or health condition that is troubling them. In most cases, the instruction focuses on their condition and how the yoga techniques can help them feel better or improve their function, rather than on the techniques or methods of yoga practice. Yoga tools and techniques are adapted for individuals or small groups with similar conditions and in these settings, conditions and goals are carefully considered, and a therapy practice is then customized to address conditions, goals, and progress through an extensive evaluation, assessment, and follow-up process. Yoga offers tools that touch on the whole spectrum of human experience, and in a yoga therapy setting, a range of tools and techniques are used such as movement, breathwork, meditation, contemplation and reflection, use of sound, ritual, prayer, and more to address an individual’s needs—physically, mentally, emotionally, and spiritually. Through customized yoga therapy practices, one learns to explore their condition creating an environment of recovery, healing, balance, and empowerment as the practices allow one to become intimately involved with their own self-care and evolution; thus, yoga therapy practices help individuals learn how to help themselves as they develop self-awareness and regulation as the foundation for healing. Please join us Barb’s Viniyoga Therapeutics class on Wednesdays at 10:30am. 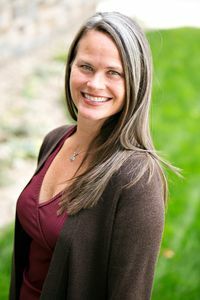 Barb Gibson is a Certified Yoga Therapist (C-IAYT) through the American Viniyoga Institute (make AVI a hyperlink at https://www.viniyoga.com/) with Gary Kraftsow, has studied and practiced yoga for 29 years with a variety of lineages and teachers, taught yoga for 19 years, and is passionate about helping others reach their greatest potential in all parts of themselves to live more functional, meaningful, and joyful lives. Barb offers customized yoga therapy practices to help you achieve optimal wellness and recovery and management of health conditions, and at OTY, will help you work with a health condition, reconnect to your yoga practice, and offer individual guidance to get you back into your class at the studio or at home. Barb strongly believes that yoga is for everyone; it’s not just for flexible people or people with a certain body type or physical/mental/emotional state and she takes great pleasure in helping people incorporate yoga into their lives in the ways that best fit them.